Australians are called to work for an economy that is based on principles of justice and equity – one that is at the service of all, particularly the most vulnerable and marginalised. The 2017-2018 Australian Catholic Bishops Social Justice Statement, entitled Everyone’s Business: Developing an inclusive and sustainable economy was launched last week on 7 September in Sydney. The launch included dignitaries such as Aboriginal elder Elsie Heiss who gave the welcome to country, Commissioner Susan Pascoe from Australian Charities and Not-for-profits Commission (ACNC) and Father Frank Brennan SJ AO who co-launched the statement, together with Chairman of the Australian Catholic Social Justice Council, Bishop Vincent Long Van Nguyen. Director for the Justice, Ecology and Development Office (JEDO) Carol Mitchell said that the Social Justice statement is an important and timely call to action. 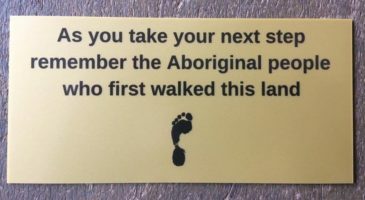 “As the representative for the Catholic Archdiocese of Perth, I had the opportunity to provide input to the planning phase of the Statement (at the previous national Diocesan Contacts Gathering): especially regarding the Sustainable Development Goals (SDGs); with the need to address the over-representation of Aboriginal people in prison; and to ‘Close the Gap’ in Indigenous disadvantage,” she said. 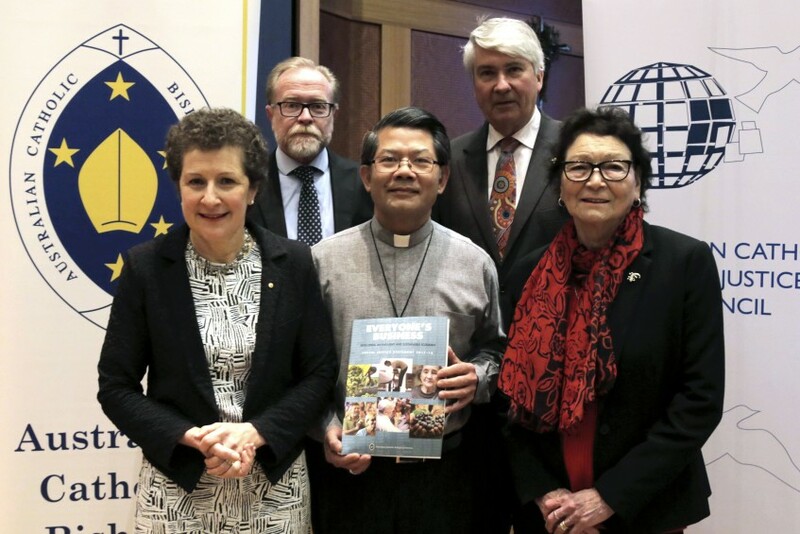 Launching the 2017-2018 Social Justice Statement (from L to R: )Commissioner Susan Pascoe OA (Australian Charities); Mr John Ferguson (Australian Catholic Social Justice Council); Most Rev Vincent Long Van Nguyen OFM Conv (Chair, Australian Catholic Social Justice Council); Fr Frank Brennan SJ AO (Catholic Social Services Australia) and Aunty Elsie Heiss. Photo: Supplied.